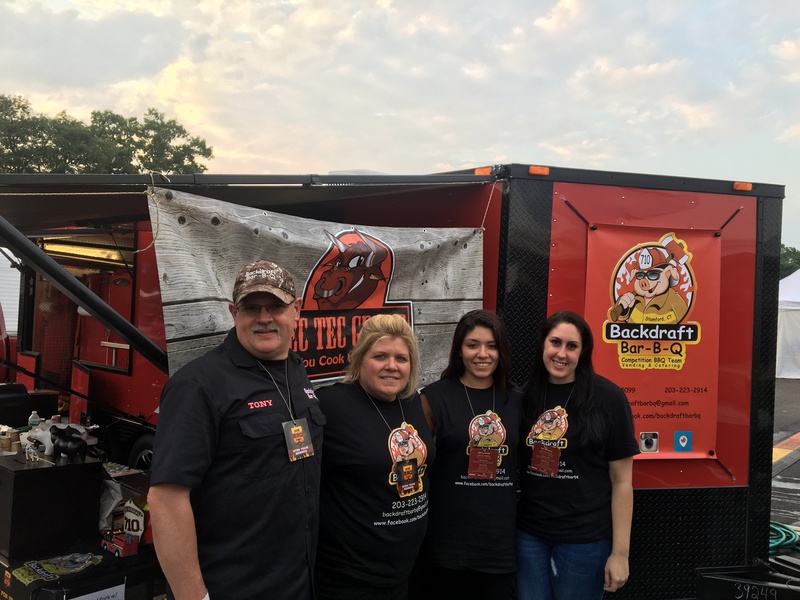 This month, NEBS interviewed Antonio Olive from Backdraft Bar-B-Q to share some background on the team and learn more about why they compete. 1. Tell us a little about you and your team. How did you get started in competitions and why did you start? I’ve always loved to barbecue and had started to try my hand at smoking. In August of 2015, I saw a BBQ contest advertised in Hartford, CT, which is only about 1.5 hours away, and I registered for it. My team consists of myself as the Pitmaster, my daughter Nicole, my wife Stephanie, and my stepdaughter Felicia. At that time, I had a Rec Tec RT-680 pellet smoker that I was using. I started doing some research, reached out to a few people and then ordered a lot of stuff on Amazon and after that, we were hooked. We did two more competitions that year and in December, I went to Georgia and took Myron Mixon’s class. In February of 2016, I ordered my porch trailer and Myron Mixon V33 smoker, which is my main smoker. Also, I cook on a Gateway drum and a Rec Tec Mini, Stampede and 680. To date, we’ve done 38 competitions, taken a few more classes and this year ,we achieved three first place spots: 1st place pork, 1st place chicken and an RGC. I always thought that BBQ competitions only happened in the South until I registered with KCBS and saw how many were in the Northeast. 2. What do you most like about competitions? I love to try and do better than I did at the last competition. The other thing I like most about competitions is the camaraderie amongst the teams, it’s a big family. 3. What are some of the challenges of competitions? I think one of the biggest challenges is extreme weather. I’ve seen some severe flooding this year that caused problems for several teams. Two years ago we were at a competition in Atlantic City during Hurricane Mathew and it got pretty wild and dangerous. I saw numerous EZ Ups fly by and smokers get blown over. Seven teams went home the morning of turn ins. One thing you need to master is the ability to adapt to the unforeseen changes. 4. Why do you love barbeque? I love the process and the ability to produce your own style of food and it brings people together. 5. If there is one piece of advice you can give to a team first starting out, what is it? Don’t be afraid to reach out to other teams and ask questions, of course not until after 1:30 on turn in day. We all want to encourage new teams and perpetuate the sport of barbecue. Kids Q is another great way to do that and it makes competing for something that the whole family can do if they have younger children. If you’re thinking about it, just do it! Another year has passed! Hard to believe we are now at our fourth year! Hunger Smoked is a group of BBQ competitors, restaurants, charities, friends and family, that come together to provide a home cooked meal for the New Year for the homeless. Not just any home cooked meal, but BBQ. As you may remember, this all started 3 years ago, I cooked for a group of adults living in tents in Rhode Island. The number of adults was approximately 15. Year before last year, I contacted Father Bills in Boston, homeless shelter and we were able to provide food for around 200 people. Last year when I contacted them, we discussed cooking for both locations of Father Bill’s, one in Quincy and one in Brockton. The total number of people provided for was approximately 350 and 400 meals. Several people came together. Most of the food was donated by businesses and individuals. Amazing when people come together! Just to give a few numbers 24 pork butts and around 1000 cookies (all home-made!) We also had beans and coleslaw and hundreds of rolls. Here is the plan for 2018 – I am hoping WE achieve this goal!…… 1000 people! We are currently working on logistics – where, what we need, where we will get it, who will help and how we are going to pay for it. This year we decided to central source all food items. 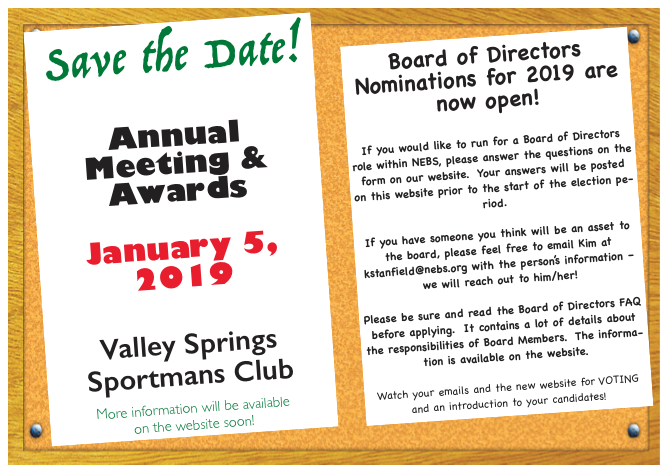 This year we are partnering with NEBS to make this happen along with GottaQ BBQ of Rhode Island – again this year – will be heavily involved, they donated supplies, space and more last year! If you are interested in helping, send a message to Mic [email protected] or via Facebook Messenger. Join our Facebook group: Hunger Smoked – Delivering Hope through BBQ.